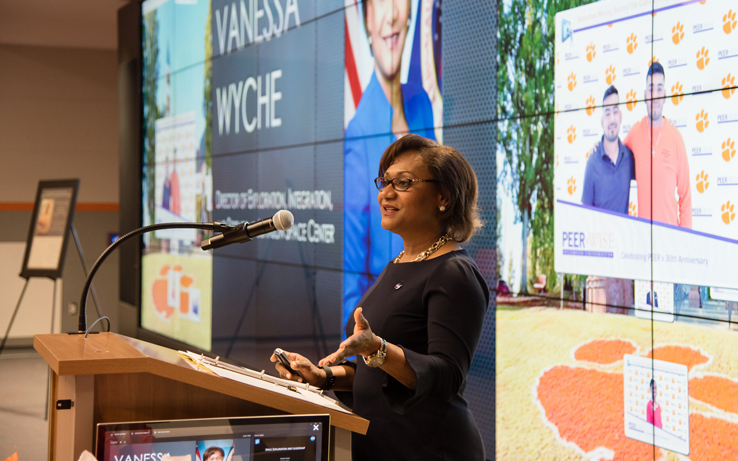 As a young and extremely inquisitive child, Vanessa Wyche would ask lots of questions about things, and often found herself taking stuff apart just to see how they worked. Growing up in South Carolina, Wyche’s very first mentors were the people she was around every day in her home – her family. Being the youngest of five children, her father, mother and older siblings all taught her various things that have helped her to succeed and reach the heights in which she has accomplished thus far, especially in the area of STEM. 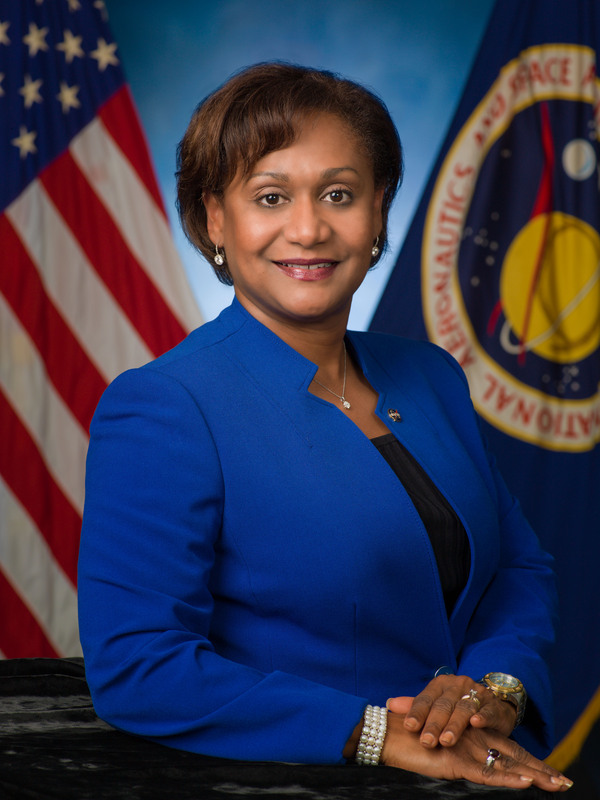 Wyche’s ascension has continued, as she recently made history as the first African American woman to be appointed by NASA Johnson Space Center (JSC) Director Mark Geyer as the deputy director of NASA’s Johnson Space Center in Houston. In her new role, Wyche assists Geyer in leading one of NASA’s largest installations, with nearly 10,000 civil service and contractor employees reporting to her, including employees at the White Sands Test Facility in Las Cruces, New Mexico, as well as a broad range of human spaceflight activities. Wyche believes that the experiences she had with her family, as well as the confidence they instilled in her, was all the motivation she needed to be the absolute best she could be. Because her father and mother were both educators, they would always encourage Wyche to do well in school, which motivated her to do very well in math and science. Her father was also a carpenter, and her grandfather was a farmer, so as she followed her dad around, she learned how to work with mechanical and electrical things. One of the biggest things that cemented Wyche’s love for science was when her older brother received a chemistry set for Christmas one year. They would do experiments in the backyard, which got her hooked. One of the biggest roadblocks Wyche faced while on her quest to learn more about STEM, was the fact that there were no advanced technology programs available to her in junior high and high school or being offered in the school system at all. Wyche did not let that deter her, as she learned everything she possibly could, and upon graduating from high school a year early, she went on to attend college at Clemson University. She initially majored in biochemistry, but was not excited about that field of choice. She knew she liked solving problems and analyzing things, so she had a talk with her professors and to her brother, who was majoring in engineering. They all suggested that she give engineering a try, so she changed her major to engineering, eventually earning a Bachelor of Science in engineering and a Master of Science in bioengineering, both from Clemson. Wyche started her career in Washington, D.C. as an engineer with the U.S. Food and Drug Administration evaluating medical devices. She would go on to join NASA JSC in 1989, in the Space Life Sciences Directorate as a project engineer. Wyche has held several key center leadership positions at NASA, including assistant center director, associate director of EISD and acting director of Human Exploration Development Support. She also served in the Constellation Program as director of operations and test integration and in the Space Shuttle Program as a flight manager for several space shuttle missions. She was manager of the Mission Integration Office, and she completed a detail in the Office of the NASA Administrator. Many of her primary responsibilities, included developing projects to perform biological studies on astronauts at NASA, to overseeing entire Space Shuttle missions as a flight manager, to leading an organization of scientists and engineers developing plans for human missions to the Moon and Mars. All of these positions helped prepare her for her current position as deputy director of NASA’s Johnson Space Center where they are training astronauts to go into space to the International Space Station, partnering with SpaceX and Boeing on developing new spacecraft to launch astronauts to the space station, and developing a new spacecraft called Orion and other systems and technologies to explore the Moon and then take humans to Mars. The journey for Wyche has not gone without its challenges. Wyche states that one of her biggest challenges, especially early on in her career, was overcoming the preconceived notions by others based on either gender or race bias. Wyche chose to work around those challenges. In every position she has had, she has either always had someone volunteer to be her mentor, or she would proactively ask someone to serve as her mentor. Whether through her pursuit of mentorship or whether it just happened organically, Wyche leaned on the wisdom she was always taught, that it is her loss if she did not ask questions. Excel and be technically competent – Know your area of expertise. Study and practice and be the best in your field. Take risks – You will not succeed if you are not willing to put yourself out there. Have courage – Don’t be afraid to try. Ask questions – You learn by asking. Remember, no one knows everything. Seek advice – Find mentors. Learn from others that have gone before you. Work and play well with others – Be a team player. Considering the Forward Times is celebrating Women’s History Month, Wyche has a simple message to young people, especially young girls, who may have an interest in pursuing a future in STEM. Wyche truly serves as an inspiration for all young girls who have the same passion for STEM that she had growing up. Her advocacy as a passionate promoter of STEM in the community, through her support of numerous STEM-outreach activities via her affiliations with The Links, Incorporated, Boy Scouts of America and Jack and Jill of America, are reason enough to celebrate this noteworthy individual and her significantly historic accomplishment.